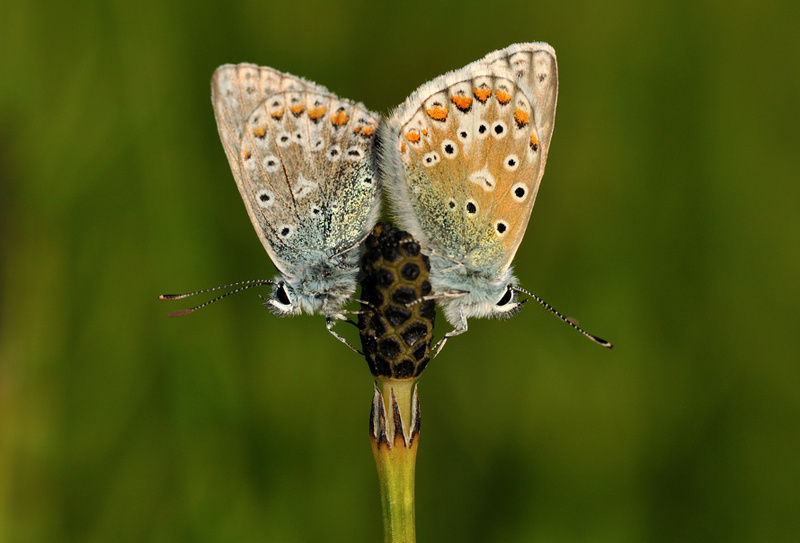 This pair of Common Blue butterflies were preparing for roost. They sit up on the horsetail in the last rays of sun, before walking down the stem. Cracking shot Steve,I guess its at PP.